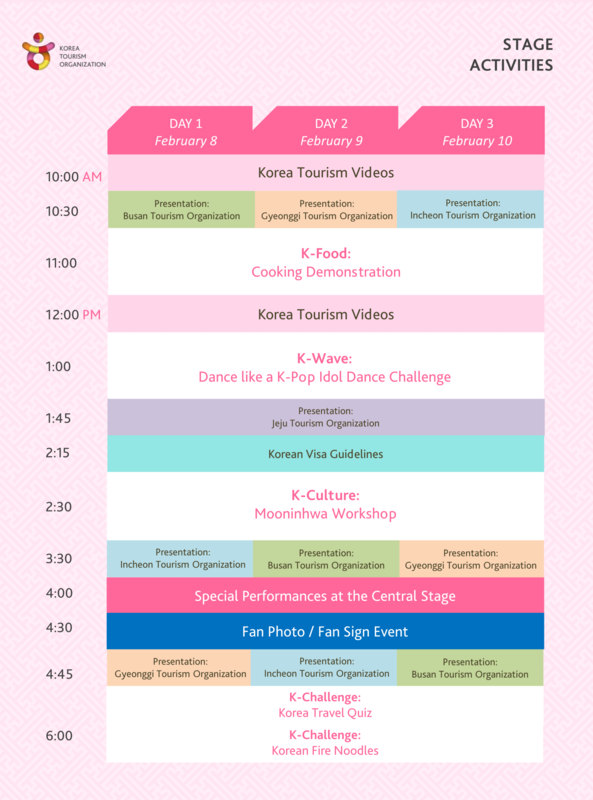 Enjoy various activities at the Korea Tourism Pavilion of the 26th Travel Tour Expo from February 8~10, 2019! 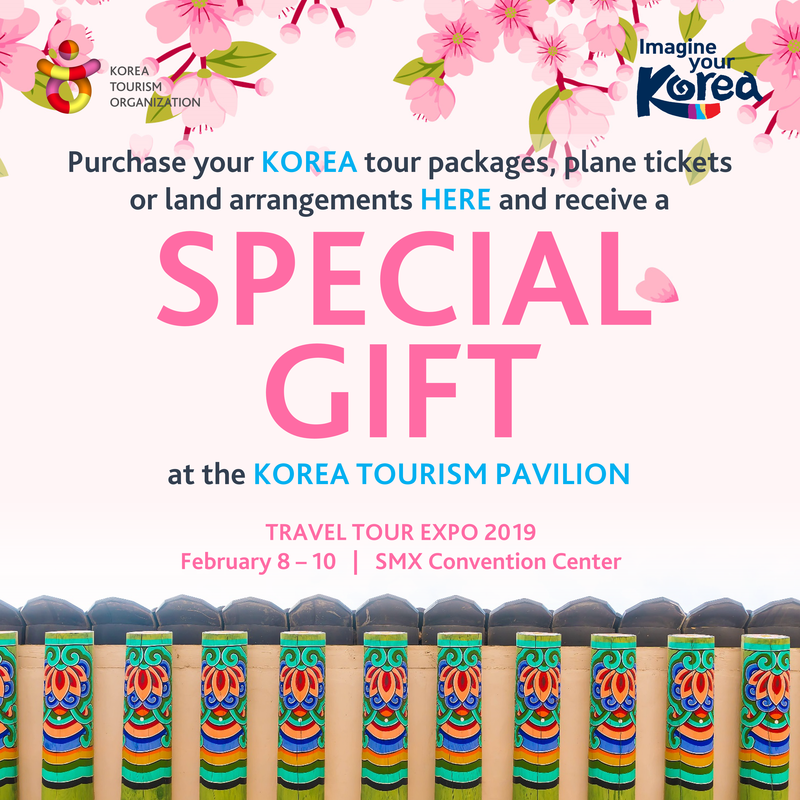 *Purchase your Korea tour packages, plane tickets or land arrangements and receive a SPECIAL GIFT. Please present a VALID ID and the OFFICIAL RECEIPT. 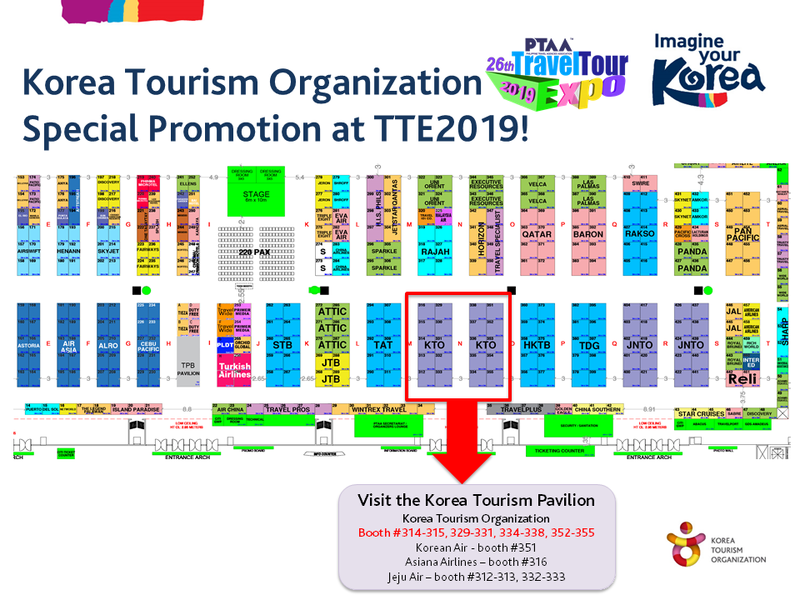 *Share/retweet KTO's local airports video post on Facebook or Twitter to receive a Korea poster and a stamp tour ticket. Collect all four (4) stamps from the participating regional tourism organizations in the Korea Tourism Pavilion to receive an EXO Folder. *Answer a short survey on Korea Tourism and receive an "Imagine Your Korea" ballpen.